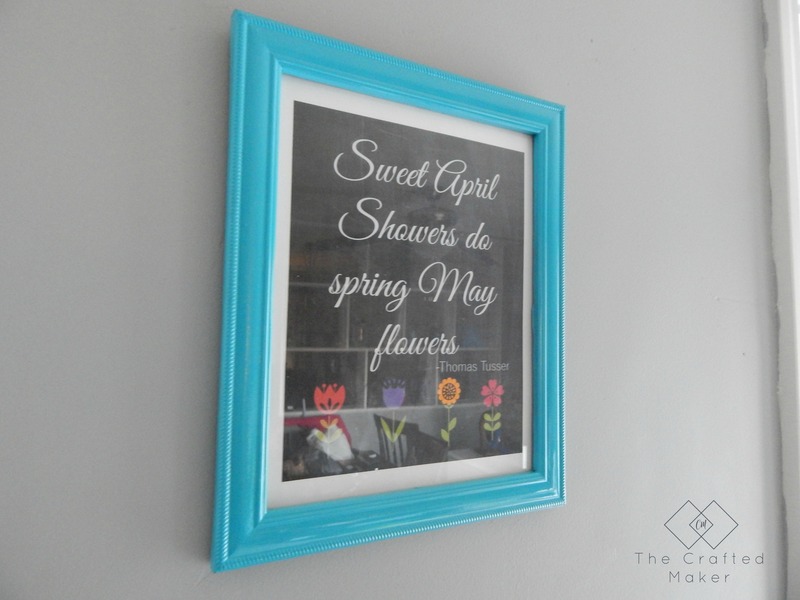 Frame Revamp and Free Printable! 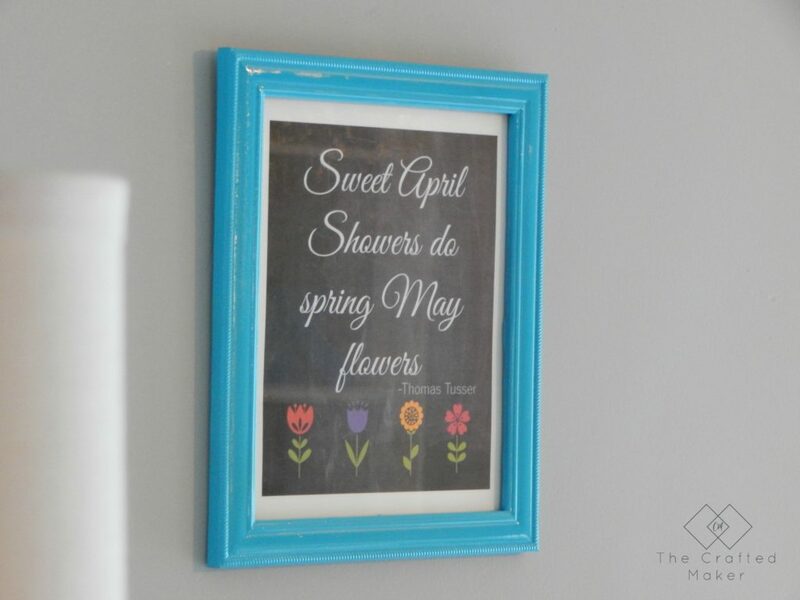 Frame Revamp with Free Spring Printable! Now that spring has sprung, its time to start adding a little more color around the house. My home is mostly gray, so a little added color never hurts. I found this old picture frame in a storage box packed away in a closet. I like the design, just not so crazy about the finish anymore. 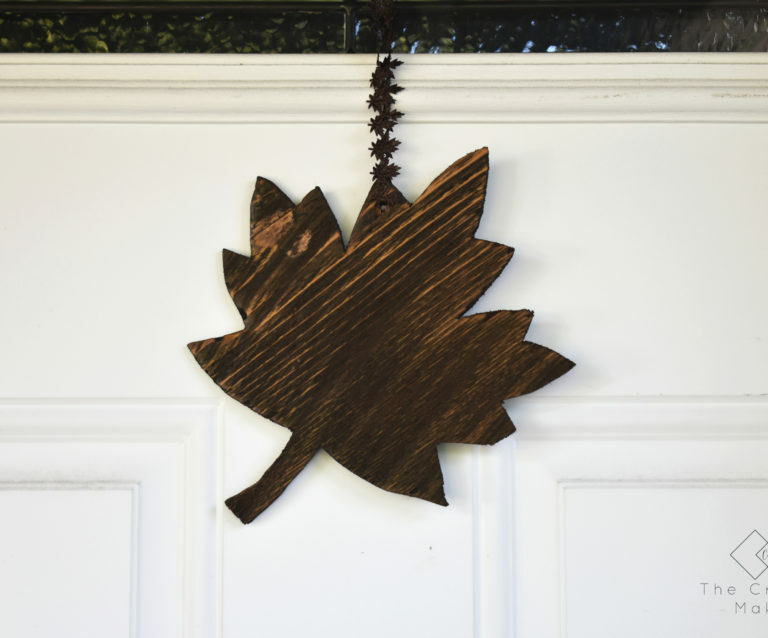 So, when you find something old, make it new again. Time for a frame revamp! 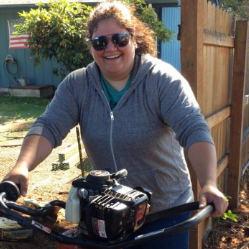 Here is how I started….. I sanded down the entire frame to remove most of the old finish. Out with the old, in with the new. 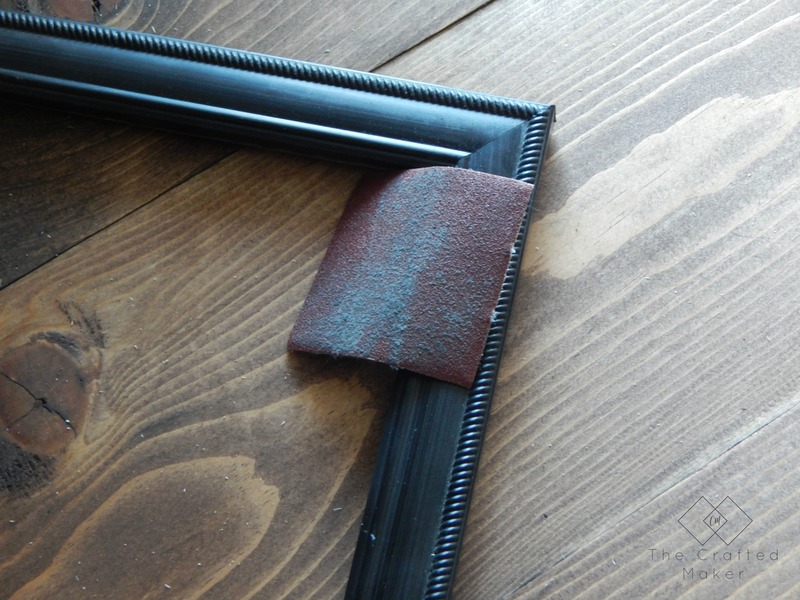 Once the frame is sanded, clean off with a rag to remove the residue of the old finish. Now time to refinish. 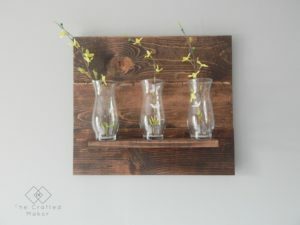 If the frame is real wood, you could stain or paint. 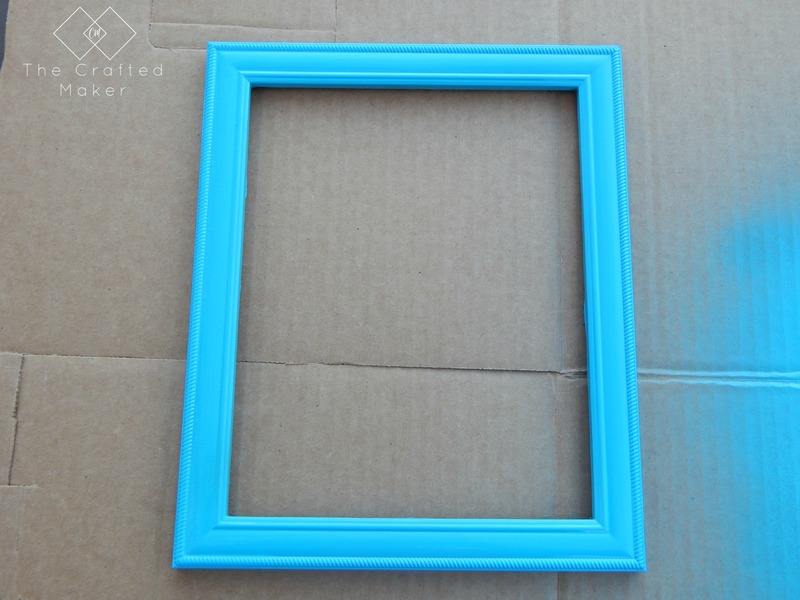 Since my frame is not wood, I am going with paint in this fun color I had in the garage. 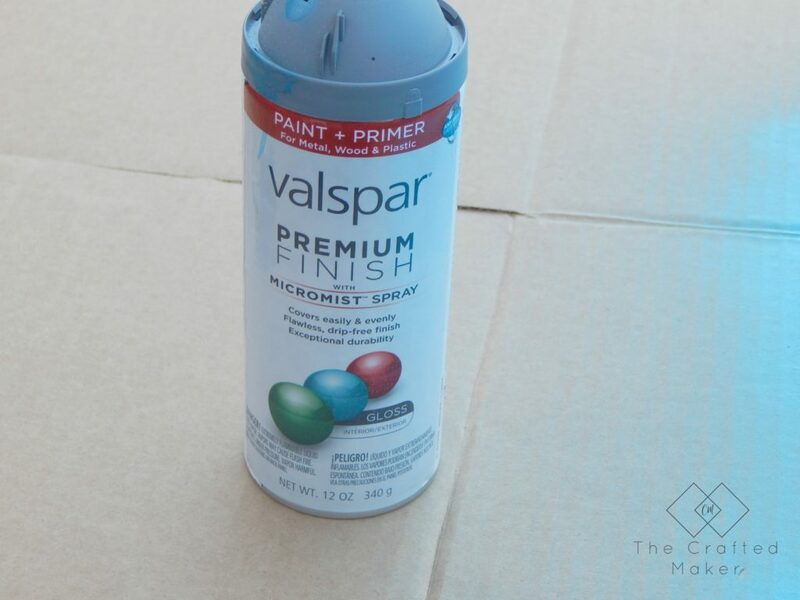 The name is Exotic Sea by Valspar. 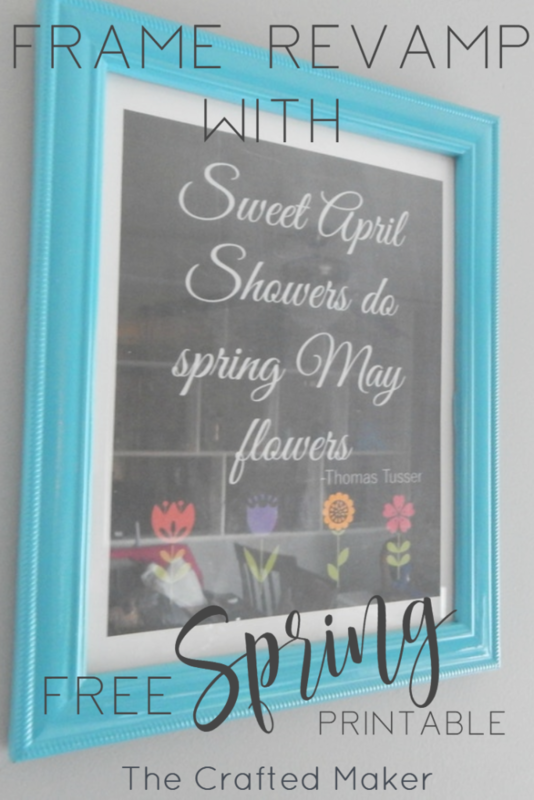 It is a little bright, but Spring is all about the color around you so why not make it fun!! Give the frame one coat and let that dry. If the coverage is not even, just apply another coat and let dry. I then applied a clear acrylic sealer to the frame. The sealer is not a must, but I have found that with spray paint, it just helps make the project look better and last longer. Now that the frame is done, time to fill it with a great picture! 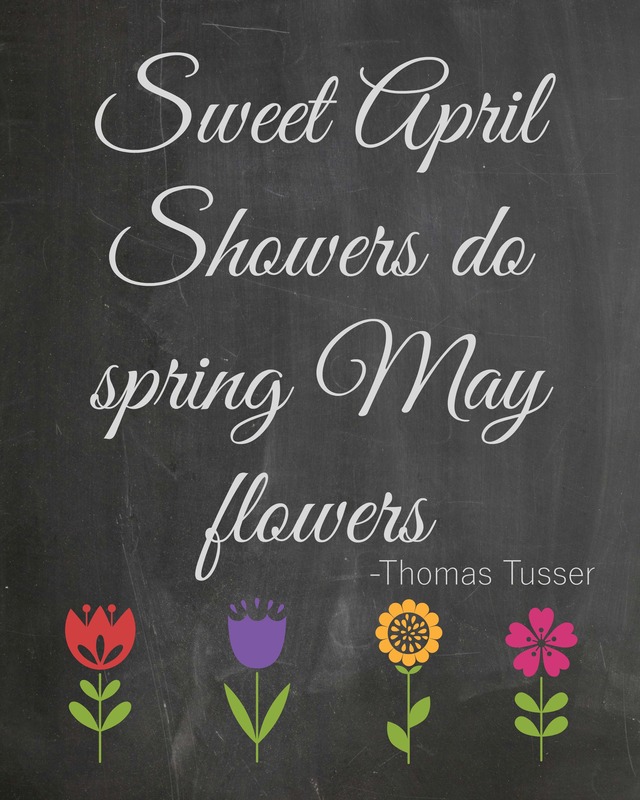 I found a quote from Thomas Tusser which is perfect for Spring. It really makes you stop and think about how all the rain we get in the beginning is for a greater purpose. Without the rain, nothing would bloom and we would have no pretty flowers to look at. 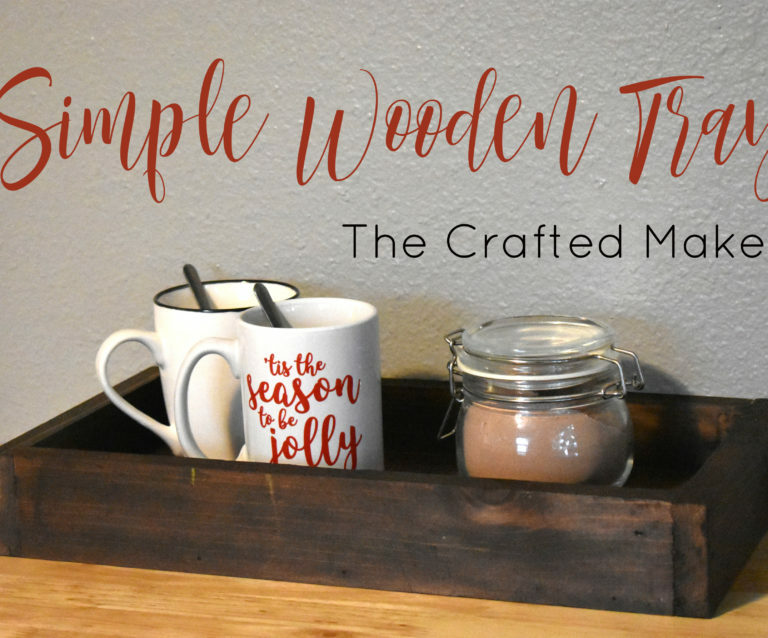 Just click on the picture or the link below to download a copy of this free printable. Cardstock is the best thing to use for this project. 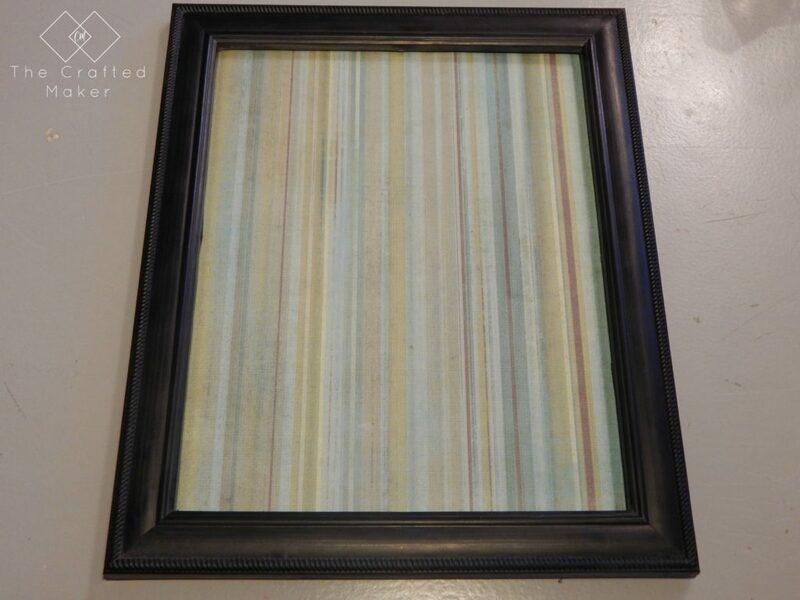 The printable will fit an 8×10 frame with some trimming required and there is room left around the picture to act as picture matting. Measure your frame before cutting your printable. 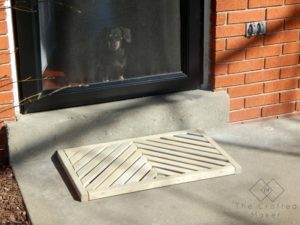 Here are some pics of the finished project. 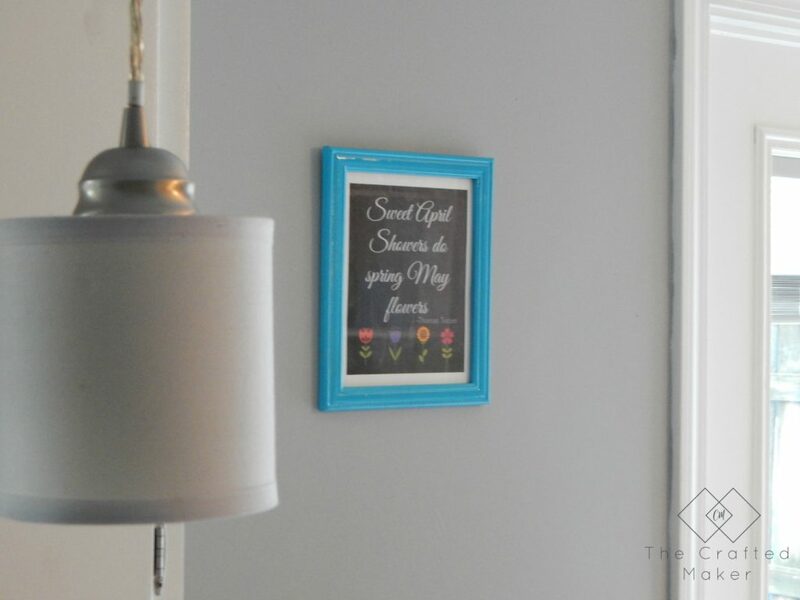 I love the color against the gray walls for a bit of Spring pop!! 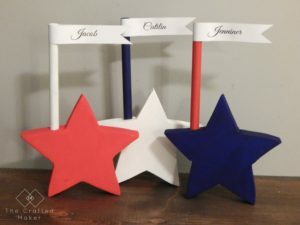 $25 Console Table with Free Plans!